is designed to introduce participants to the fundamentals of the project management discipline while also serving as an excellent refresher course for seasoned practitioners. This session effectively combines introductory lecture and discussion with hands-on application of useful project management principles, tools, and techniques through applied case study exercises. 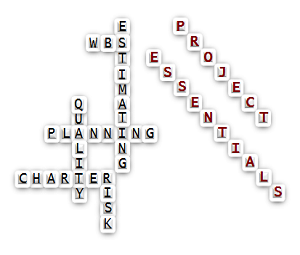 Essentials of Project Management is a three-day, instructor-led, training class designed to introduce participants to the basics of the project management discipline. The course structure effectively combines introductory lecture and discussion with hands-on application of useful project management principles, tools, and techniques through applied case study exercises. The course covers the basics of all project management life-cycle processes including: project initiation, planning, executing, monitoring and control, and closing. Tanden to begin offering Virtual training on select courses for our customers. By popular request, customers wanted an alternative to traditional classroom instruction and Tanden has responded by offering their popular corporate 3 day course on the Essentials of Project Management taught via our Adobe Connect web portal as a 4 day Virtual Course. Additionally, this course will be recorded for self-pace viewing. Simply make your selection below and we’ll email you instructions and information on how to participate.